A website is not just a digital brochure to exhibit your products and services, but a dominant factor in generating leads for your business. It is a tool for your sales & marketing department efficiently used to bring in more business, increase the revenue of the company and climb the growth ladder. Also known as conversion audit, it can be described as keeping a watch on your website’s content for loopholes that are pushing your leads away from you. Keeping a hawk eye on your website is an inescapable task as it is the only way to make sure the content present on your site is accurate and appropriate. Auditing content helps you analyse the relevancy of the content by keeping points in mind such as the data and statistics present in the content up to date, if the links present in the content are working properly, if there are any errors prevailing, and much more. 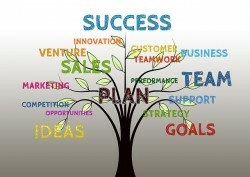 If you can spot the errors in advance, you can launch your marketing campaigns effectively. It can be a taxing job to go through hundreds of pages and spot errors, but it will give you a firm base to launch your marketing campaigns. 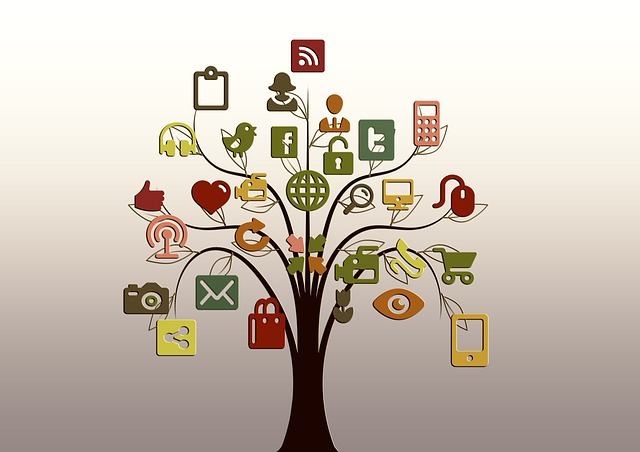 These marketing campaigns will return you with great leads generated through your website. To get top-notch results for your marketing campaigns, it is crucial to understand the behaviour of visitors on your site. A responsive website can be developed with appealing visuals to encourage a visitor to click on a particular ad or a button. But what is the use of investing in so many things if you are not able to track activities on various segments of your website? A solution to this is using a heatmap tool. A heatmap tool allows you to gather information about interactions between your website and the visitor. You can track the slightest motion of the cursor on your website and get to know where your visitor is clicking. Having an insight to such kind of interactions enables you to know which section of your website is most visited or clicked. Once you get to know this, you can utilise this information and cleverly put call-to-actions in these areas to generate more leads. Factual information gathered through a heatmap tool allows you to tweak the design and content of your website according to the changing behaviour of your visitors. Hence, your website stays updated. Google Analytics is a trump-card for all those businesses who have their website. Factual data provided by Google Analytics help you optimise your website to give visitors a rich user experience so that they stay hooked to your site for longer times. The longer your visitors stay on your website, the more are the chances of them converting into leads. With Google Analytics, you can track which page is being visited the maximum number of times, from where is the traffic being directed to your website, track your ranking on major search engines, track which keywords are trending, how many clicks and impressions were gained, and a lot more. Tracking the sources which redirect traffic to your website enables you to know your target sources. For example, if you get to know from which social media platform you’re getting the maximum traffic, you can target that platform the most. Google Analytics helps you to eliminate deficient sources that drive traffic to your site. Along with that, it helps you in maximising your marketing efforts to scale up your lead conversion rate. The potential of live chat integration with the website is not yet exploited. According to Forrester Research, “44% of online consumers say that having questions answered by a live person while in the middle of an online purchase is one of the most important features a web site can offer.” With live chats, visitors have instant access to help, and that means their queries are solved in real time. 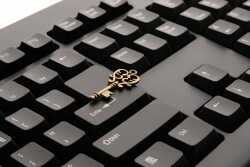 According to another survey by emarketer.com “62% reported being more likely to purchase from the site again. A further 38% of respondents said they had made their purchase due to the chat session itself. All these attitudes were even more prevalent among respondents who bought online at least weekly.” Live chats facilitates online purchases and gives you an edge over your competitors who do not have live chat integrated websites. Intent or Exit popups are an excellent way to stop a visitor from abandoning your website. Whenever a user is about to leave your website, a popup appears within a nanosecond to stop him from leaving your site. You need to cleverly grab the attention of your visitor to make sure it becomes irresistible for him to stay on your website. Offering lucrative deals to the visitor who is about to leave your website increases the chances of him to make purchases or convert into a potential lead for you. Reviews and comments from your existing clients solidify the foundation of trust of your potential customers. Adding testimonials to your website enhances the credibility of your company. Visitors have become smart while making a purchase of products or services and you simply can’t fool around with them by trying to sell hard your services. Genuine reviews from your existing customers establish credibility and convinces the visitor to buy services from you only. You can take a step further and add images of the testimonial writer which will give one more reason to the visitor to buy from you only. Adding a collective video of your happy customers sharing their experience with you takes your credibility to the next level. Just make sure your testimonials are not fake. Leonardo Da Vinci wrote, “Simplicity is the ultimate sophistication.” While people invest in ornate web designs, it is recommended that you put things in a simple way. A white background with simple text would look elegant and appealing as compared to a loud, colorful background with quirky text font. Too much use of colors adds to distraction while funky text fonts make it difficult for a visitor to read your content. A plain background with relevant pictures and content put together in an organised manner makes it easy for the visitor to read. Visually appealing images add-on to the interest of the visitor. Organise the content in such a way that it initiates the flow of reading. Don’t just put text and images randomly anywhere; this will break the flow of viewing and reading. It is really important to focus on adding images and videos to your website. Just text would make your website look monotonous and dull. If your website background is white and the text color is black, add a pop of colors in between the text to make the website look appealing. Using relevant images in between texts adds clarity to what you’re trying to convey. It is also observed that images add on to the engagement and keep visitors hooked on to your site. You can also add videos to interact with your visitors. Use animated videos or simply shoot a video of yourself explaining your services and what makes your stand out of the crowd. An entertaining and educative video will add on to the lead generation. 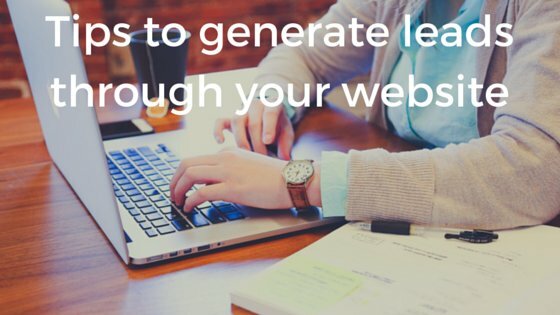 To sum up, there are numerous ways by which you can rocket up your lead generation through your website. The design, the content and the analytical reports if used together can do wonders for your website.